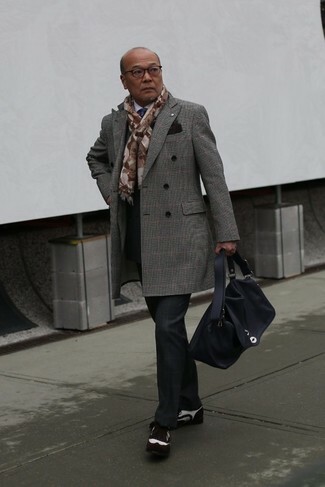 For a casually elegant outfit, pair a grey plaid overcoat with black chinos — these pieces go perfectly together. A pair of grey athletic shoes brings the dressed-down touch to the ensemble. 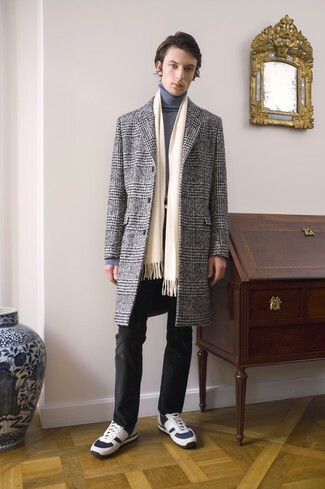 For a smart casual outfit, wear a Marni single breasted check coat with grey wool chinos — these items fit nicely together. Opt for a pair of white leather low top sneakers for a more relaxed feel. As you can see, ensembleing seriously stylish doesn't take that much work. 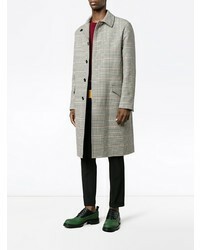 Just go for a Marni single breasted check coat from farfetch.com and black jeans and you'll look awesome. White athletic shoes will add a more relaxed feel to your ensemble. 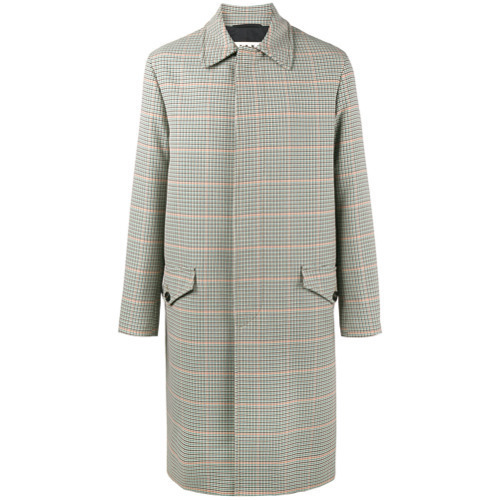 For a nothing less than incredibly stylish getup, pair a Marni single breasted check coat with a white suit. Contrary to what you might believe, being a dapper dude doesn't require that much effort. 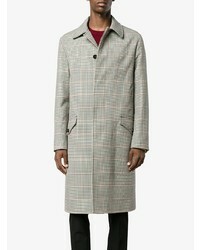 Just dress in a Marni single breasted check coat from farfetch.com and beige chinos and you'll look savvy. 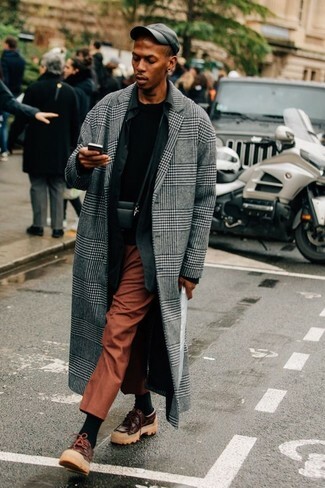 For a nothing less than incredibly stylish getup, try pairing a Marni single breasted check coat with charcoal dress pants. For something more on the daring side to complete this getup, throw in a pair of dark brown suede double monks. Go for a Marni single breasted check coat and tobacco dress pants for incredibly stylish attire. 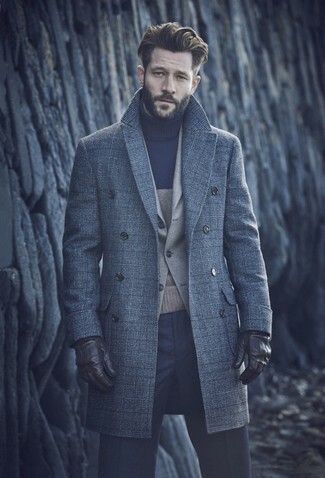 For something more on the daring side to complement this look, opt for a pair of dark brown leather boat shoes. For a nothing less than incredibly stylish ensemble, opt for a Marni single breasted check coat from farfetch.com and black plaid dress pants. Break up your ensemble with more casual shoes, like this pair of dark brown suede brogues. 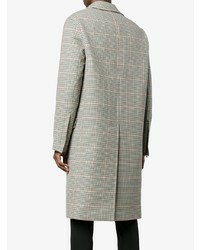 For a nothing less than incredibly stylish getup, try teaming a Marni single breasted check coat from farfetch.com with navy dress pants.